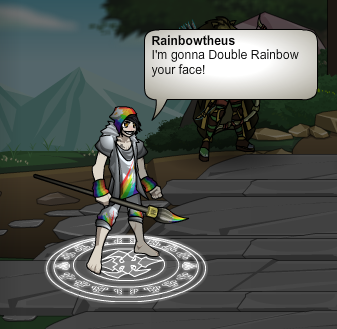 Rainbowtheus - "I'm gonna Double Rainbow your face!" Rainbowtheus - "A hungry artist is a powerful artist. Stay hungry!"